On behalf of admin of JML Law, A Professional Law Corporation posted in Worker’s compensation on Thursday, Sep 07 2017. It is very common for employers to be so busy working hard towards their company’s goals that they forget about their employees. It is a terrible mistake since happy employees are the ones that make companies succeed. This is why many workplace personal injury claims are derailed. Employers may not take the time to do things the proper way and end up getting involved in an unnecessary legal battle. Contact a Los Angeles workplace injuries attorney to handle all the aspects of your claim. All injuries sustained in the workplace should be reported within 24 hours of injury notice. Employers are required to train their employees to report all injuries immediately after the accident and on the same day it occurred. Employers who have strict goals about accident occurrences should not discourage reporting injuries, even when they may seem insignificant. Sometimes minor workplace accidents can escalate into major claims. Reporting the accident on time will also ensure an accurate account of the incident and it also eliminates the possibility of others getting involved in similar situations. Proper medical care is essential for the employee’s wellbeing. Recent studies have shown that the quality of physicians participating in a worker’s comp claim will determine the costs. About 10% of doctors involved in personal injury claims prescribe wrong medications and fail to administer the right treatment. Injured workers should not take time off work because a doctor prescribed the wrong medication or administered the wrong treatment. It is natural for employees to feel lost and afraid of what may happen next, particularly employees experiencing their first workplace accidents and who may not be too familiar with how the worker’s compensation system works. Some employers may act indifferent, which can lead to mistrust. However, if the employer cooperates and demonstrates a genuine interest in the employee’s well-being, chances are the employee will feel valued and respected. 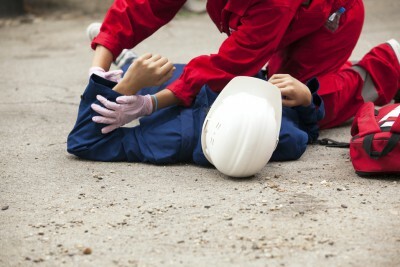 These categories of personal injury claims are generally easier to navigate. It is not easy to get back to work after being injured in an accident. Employers should understand the trauma recovering employees may be experiencing. This is why new tasks should be assigned until the employee returns to full productivity. Responsible employers will ask the doctor to provide information about the employee’s physical requirements and how it can affect the position they hold. JML Law specializes in personal injury claims. The laws involving personal injury and worker’s compensation in California are complicated. An experienced Los Angeles personal injury attorney can help you navigate the complexities of your case. You need someone to investigate your circumstances who can apply the right laws. It is important having an attorney helping you navigate the system. If you have been injured in a workplace accident, contact us today and schedule your initial free case evaluation with one of our talented attorneys.